Latest UFO sightings – This UFO video of unknown craft flying at low altitude was recorded in Nowra, New South Wales, Australia on Friday, 17th September 2010. 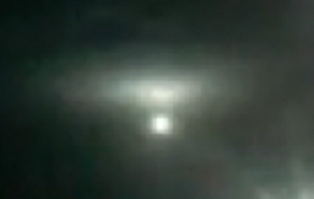 Witness report: This was captured on my phone over Nowra (Australia) on the 17th of September 2010. This is unedited, has has no sound and is slightly blurry. I couldn’t figure out how to fix it so I apologize. I didn’t hear any sound from the object (probably too far away). In by saying that it’s a UFO I’m not claiming it’s an alien, just trying to get opinions. I uploaded this directly to youtube in 3pg format, enjoy! 4. My phone video camera was unfortunately set to mute audio at the time, due to the mad rush I was fiddling around too much. I just wanted to get the video before I lost it. Note: I know this may all seem coincidental and very typical. I’m a painter and was preparing to go to work when I sighted this. I was using a 2.0 mega-pixel phone camera. As I explained above there was no sound, I apologize! I’d prefer not to identify myself, I’m a humble person and prefer to remain anonymous in case this gets a little out of hand with public attention. Fingers crossed.